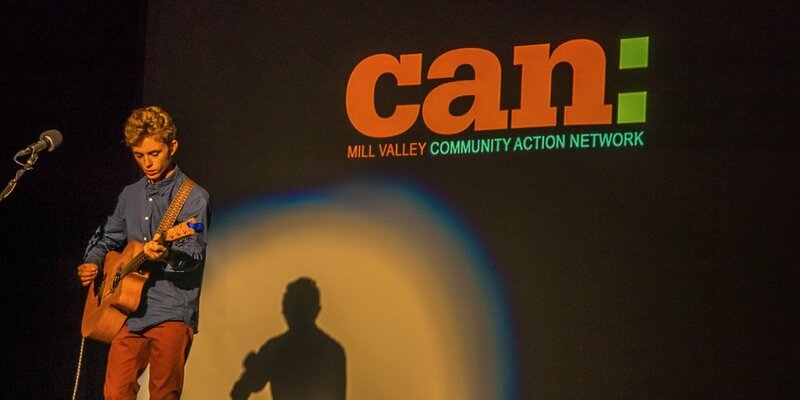 Rock singer Matt Jaffe performs his original song of resistance, ‘Dark Ages’, at our anniversary fundraiser for MVCAN. Photo by Martha Ture. 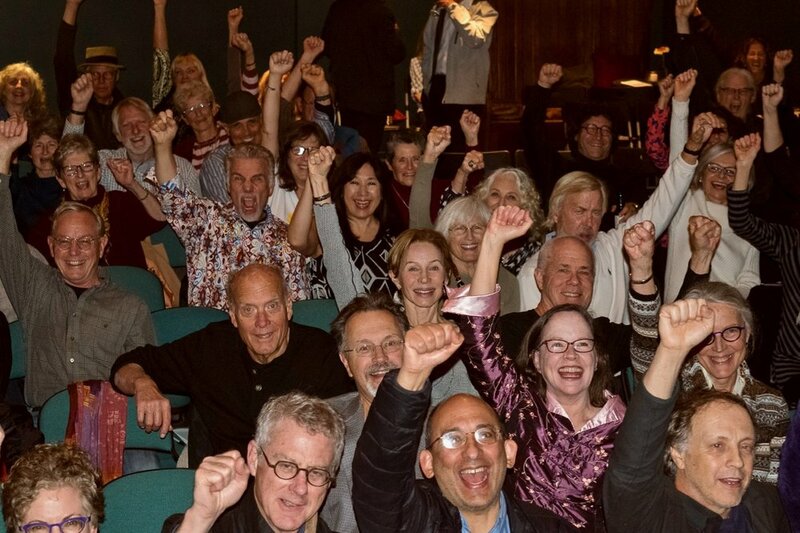 We celebrated one year of resistance with friends and neighbors at the MVCAN-Do Revue, our first anniversary fundraiser for MVCAN at the Throckmorton Theatre in Mill Valley, on Saturday, November 11th, 2017. To energize our community and lift our spirits, we hosted an evening of music, dance and storytelling, featuring talented local performers, including rock singer Matt Jaffe, poet Natalie Frederick, hip hop dancers from RoCo Dance, music director Reed Fromer with the Shady Ladies and the Can-Do Singers -- along with special performances by MVCAN team leads. Update: If you missed our celebration, watch the video below. 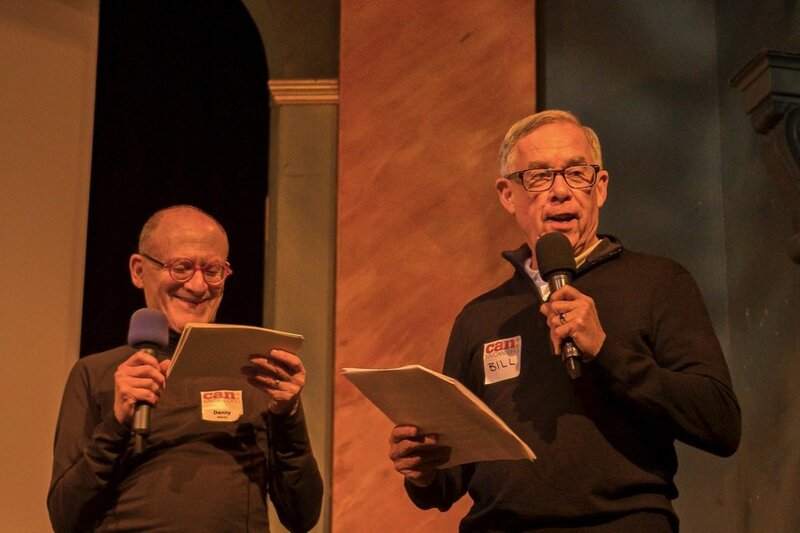 Watch the 'MVCAN-Do-Revue' in this full video of our enchanted evening at the Throckmorton. Camera by David Donnenfield, Ed Ellsworth and George Eade. Produced and edited by Fabrice Florin. This community celebration was produced and hosted by activist Fabrice Florin with a world class team of MVCAN volunteers, to honor community members who took political action this year. In collaboration with filmmaker Gary Yost, he created special video montages to tell the story of how MVCAN came together the day after the election, to resist the attacks against democracy by the Trump regime and right-wing extremists. Their Year in Review video below showed many of the actions we took together: we marched for democracy, we defended civil and women's rights, we phone banked to flip elections, we protected the environment, we helped reverse Trumpcare, we created political art, and much more. Watch other videos of this event in our MVCAN Vimeo album. Special thanks to the photographers who took pictures of our event (Martha Ture, George Osner, Suz Lipman, Tim Pozar and Jean Bolte) and to the videographers who captured the event on video (camera by David Donnenfield, Ed Ellsworth and George Eade, sound by Edwin De Shazo, produced and edited by Fabrice Florin). Some of their photos are included below -- and videos can be found on our Vimeo album. You can view more pictures of our anniversary in our photo album on Flickr and on Facebook. We’re deeply grateful to our new Events team for spearheading this event. Team leads include Fabrice Florin, Danny Altman, June Cooperman, Mary Cosgrove, Suz Lipman, Carol Korenbrot, Marilyn Price and more. Many thanks as well to our friends at the Throckmorton, including Lucy Mercer, Tim Stone, Gaby Mercer-Slomoff and their crew. If you have any questions or comments for our team, or have good photos or videos to share, please email them at events-lead@mvcan.org . Kudos to all 60 cast and crew members who generously donated their time and money to host this event -- and to all community members who took political action this year! In dark times like these, community action is more important than ever: it’s that choice to act together that defines us -- and gives us hope that we can build a better world. If you would like to participate in MVCAN , sign up here -- and/or donate to support our cause. Artist and activist Fabrice Florin, event producer and host, welcomes our audience at the MVCAN-Do-Revue. Photo by Martha Ture. Young poet Natalie Frederick performs an original poem about her political awakening this year. Photo by Martha Ture. Activist and MVCAN leader Suz Lipman thanks our action teams at the MVCAN-Do-Revue. Photo by George Osner. Young dancers from RoCo’s Hip Hop group bring some funk and groove to our celebration. Photo by Martha Ture. 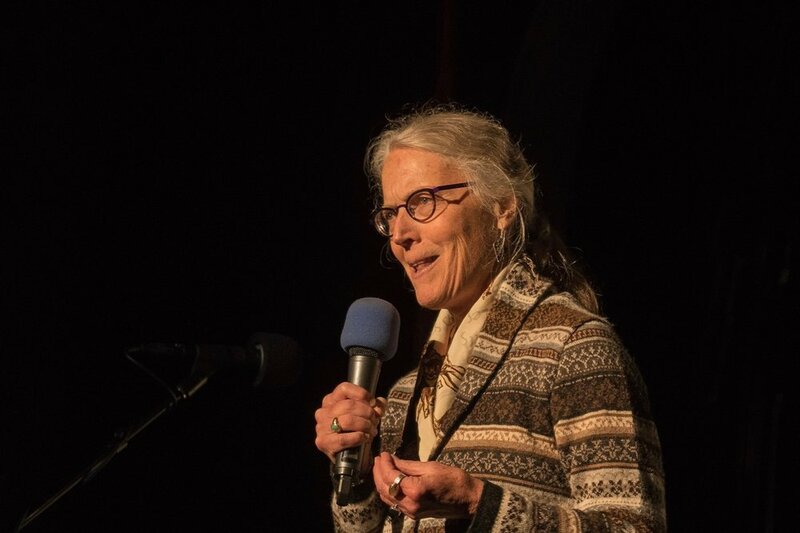 Marin County Supervisor Kate Sears speaks about the importance of community action. Photo by Martha Ture. Activists raise their fists for democracy at our MVCAN community celebration. Photo by Martha Ture. MVCAN team leaders Danny Altman and Bill Jansen present a fun list of Top 10 things we did this year. Photo by Martha Ture. 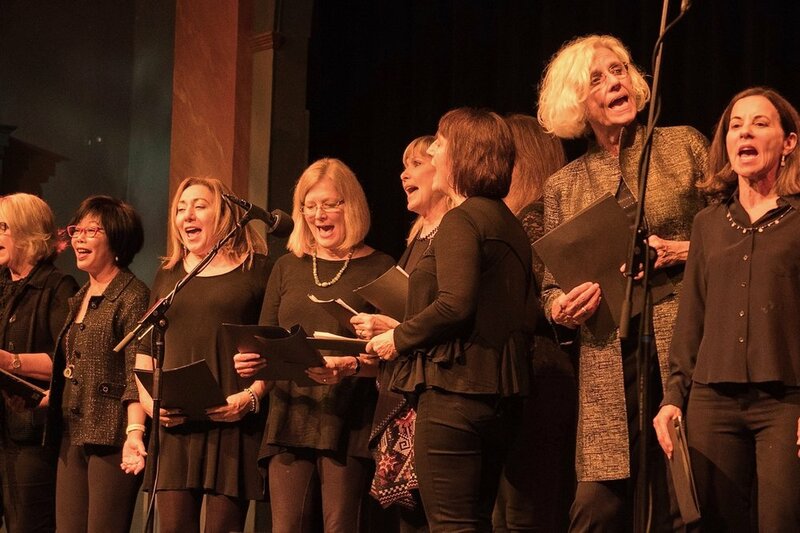 The Shady Ladies sing their hearts out for democracy, led by director Reed Fromer. Photo by Martha Ture. Music director Reed Fromer leads a sing-along of classic protest tunes with the Shady Ladies and the Can-Do Singers. Photo by George Osner. Activists, cast and crew gather for a final curtain call at the MVCAN-Do-Revue. Photo by George Osner. 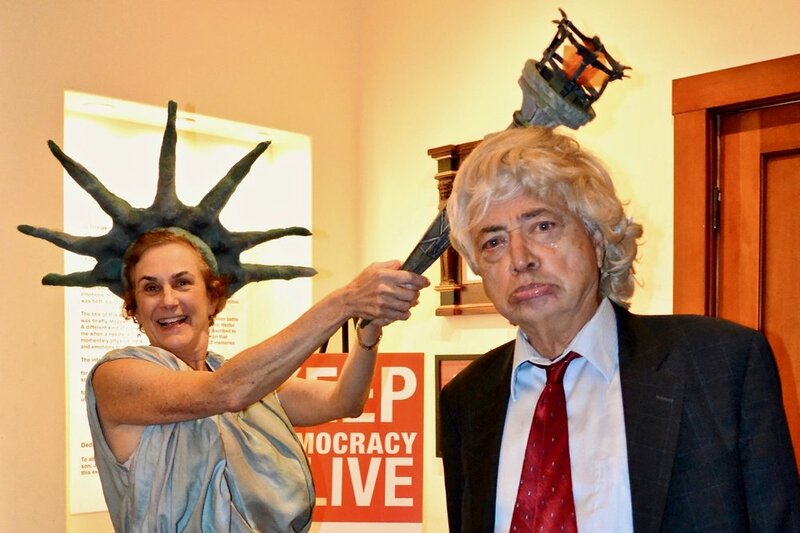 MVCAN leaders June Cooperman and Bernard Catalinotto impersonate Lady Liberty and Mister Trump at the MVCAN-Do-Revue. Photo by Suz Lipman. A group photo of the event team leads for the MVCAN-Do-Revue: Suz Lipman, Marilyn Price, Fabrice Florin, Mary Cosgrove and June Cooperman (from left to right). Missing in action: Danny Altman and Carol Korenbrot.. Photo by Ed Ellsworth.